If you have an addiction to drugs, alcohol or other substances, there is more than a 30 percent chance you also have a mental health concern, such as anxiety, posttraumatic stress disorder (PTSD), eating disorder, obsessive-compulsive disorder (OCD), depression or other mood disorder. Research tells us treating addiction and a co-occurring condition at the same time is the best approach. If you have a dual diagnosis, you may have overwhelming thoughts or emotions you don’t like. With cognitive behavioral therapy (CBT), an evidence-based therapy, you and your treatment team can make discoveries about your thoughts and emotions, and work on promoting change. “The foundation of CBT is based on the idea that your thoughts, feelings and behaviors are linked to one another,” says Chad Wetterneck, Ph.D., clinical supervisor for Rogers Behavioral Health. Each area has a bidirectional relationship with the others ones; your thoughts influence your feelings, feelings influencing your thoughts, and so on. The key to understanding these connections is to slow down and examine your experiences and the relationships between these areas closely. Like many people, the first barrier you may have is recognizing your own belief that you can change. If someone were to ask if you have the ability to change if you wanted to, you might say “I don’t know,” or “I don’t think so.” With the help of a comprehensive treatment team, you can begin building the motivation and confidence you need to get started. When dealing with addiction and a dual condition, thoughts may be constantly swirling through your mind that you wish you could just shut off. If you have social anxiety, maybe you wish you could stop thinking everyone in the room was judging you. Maybe your thoughts are saying, “You are awkward or incompetent,” over and over again. Unfortunately, no matter how hard you work in treatment, you can’t just get rid of these thoughts or make them permanently go away. Our minds are “additive, not subtractive;” like a computer that receives a lot of different information, anything you input may be somewhere in your mind. We can’t hit the reset button or wipe out all or some learning experiences. We can choose whether these “programs,” rules, or thoughts dictate our lives. For example, if you’ve learned something from experience, you can’t just eliminate it. You might not have the thought in the front of your mind, but it does exist. “With CBT, you can change the relationship with many of your thoughts and the way you react to them. You can also add new learning and relationships to thoughts, images, or external information that once only had negative associations,” says Dr. Wetterneck. One way to do this is to evaluate the accuracy of your thoughts. If you were to have social anxiety and think you are an inept person because you believe you function differently, a trained mental health professional may challenge that idea and ask, “Has anyone ever said that to you? Do you have any evidence to suggest the contrary? Have you been able to keep a conversation going, even for a short amount of time?” And some of the evidence you collect may prove your thoughts incorrect. “By examining your unhealthy thoughts, you can gradually widen the scope of your thinking, which in turn will have an impact on the way you feel about yourself and your behaviors,” says Dr. Wetterneck. Instead of just thinking about how you’re awkward, your treatment team may help you develop experiences that prove that thought inaccurate or give a more realistic estimate of how often things do not go well, while identifying that sometimes (maybe even often times!) things do go well — through therapeutic activities, homework assignments and more. When your mind is thinking, “You are awkward or incompetent,” it hurts. You’re taking those harmful thoughts, adopting them and changing the way you feel about yourself. Over time these feelings can build up and they influence your actions. Maybe you stop going to parties, going out with friends or even avoid leaving your home altogether. With therapy, it can be helpful to begin presenting your thoughts in a new way. Instead of, “I am awkward,” saying, “I had a thought that I was awkward,” is one method for altering your feelings about yourself. This provides an appropriate label to the experience – rather than stating you are, literally, awkward (as if it’s your new first name! ), you acknowledge it is a thought. This technique creates some distance for our patients to work in – they begin to recognize how the thought may want to influence actions and are able to make a choice about what to do next. Your behaviors are the most changeable aspect of your world. “CBT is useful for identifying behaviors associated with your thoughts and emotions; our goal is to reduce the amount of engagement in those behaviors and support the development of functional behaviors,” says Dr. Wetterneck. Sometimes, you might perform a behavior as a response to a thought or feeling you don’t like. After being invited out to dinner, you may have a thought that says, “I am awkward,” and decide to stay home. While staying home and avoiding social situations temporarily neutralizes your social anxiety, it doesn’t address your anxiety in the long run. “It also means you’re not able to live your life the way you’d like to. Things that you value are avoided due to the emotional causes you are trying to escape,” says Dr. Wetterneck. Maybe you’ve starting missing out on your child’s soccer games because you’re too nervous about socializing with the other parents. And in turn, it perpetuates your thoughts and feelings that “you are awkward,” because you don’t give yourself the chance to prove yourself wrong. By seeking support from a comprehensive treatment team, you can combat those negative thoughts through CBT and work toward your addiction recovery. 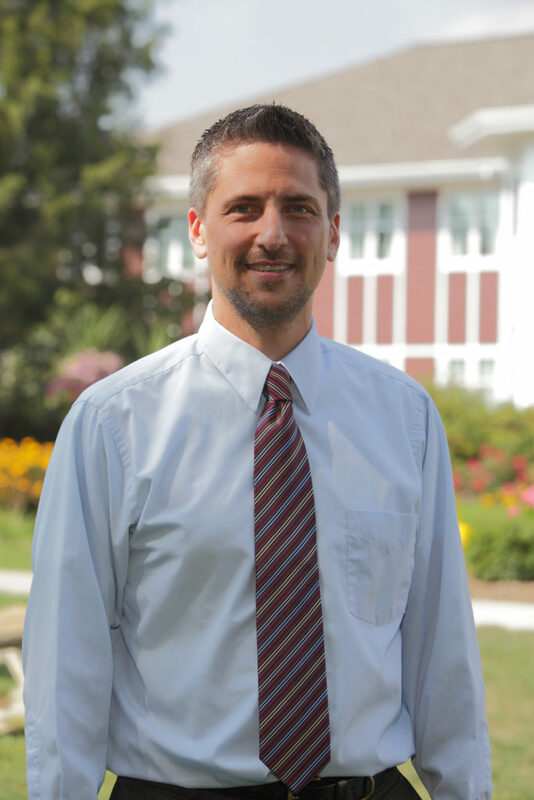 Chad Wetterneck, Ph.D., is a licensed clinical psychologist who specializes in using cognitive behavioral therapy (CBT) in the treatment of anxiety and posttraumatic stress disorder (PTSD), with PTSD care focused on victims of interpersonal violence, vehicular and industrial accidents, and environmental disasters. Dr. Wetterneck supervises treatment of residential adult patients with dual diagnoses in the Herrington Recovery Center, and developed and oversees the PTSD partial hospital programs at Rogers’ Wisconsin locations. Reviewed By: Jacquelyn Ekern, MS, LPC on May 24, 2017.